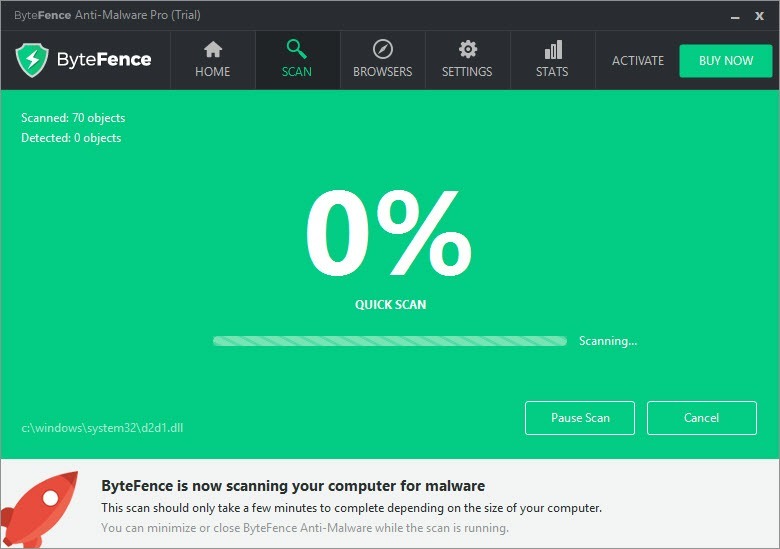 If you want to keep your computer in good shape, we have a solution – ByteFence is a brilliant antivirus solution which helps you in fighting against unwanted malware. It can fight against attacks from trojans, worms, and spyware, but also focuses on dealing with unwanted bundled applications. 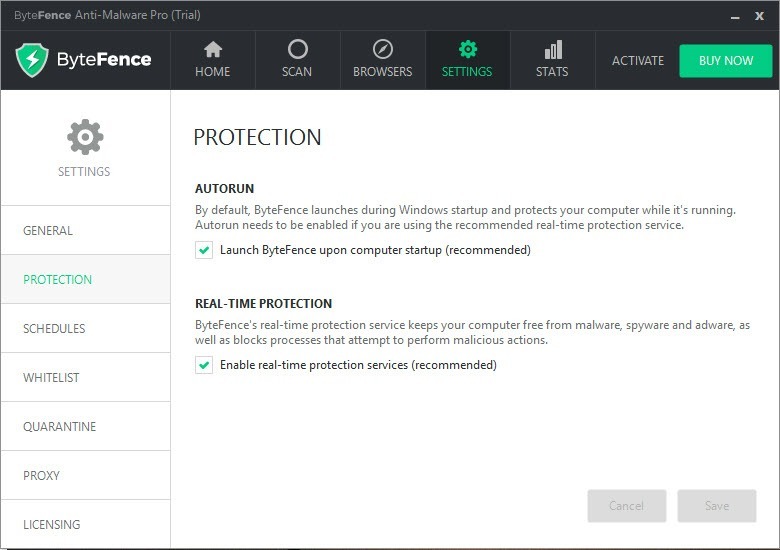 It is a security tool which you find pretty useful, but it shouldn`t be used as ultimate protection of your PC. ByteFence installation is quick and smooth and doesn`t have any confusing elements. All you have to do will be to click on install, and the process will finish fast. You can choose if you want to launch the program directly or if you don`t want to do so. You don`t have to deal with bundled installs, and there aren`t free browser notifications. 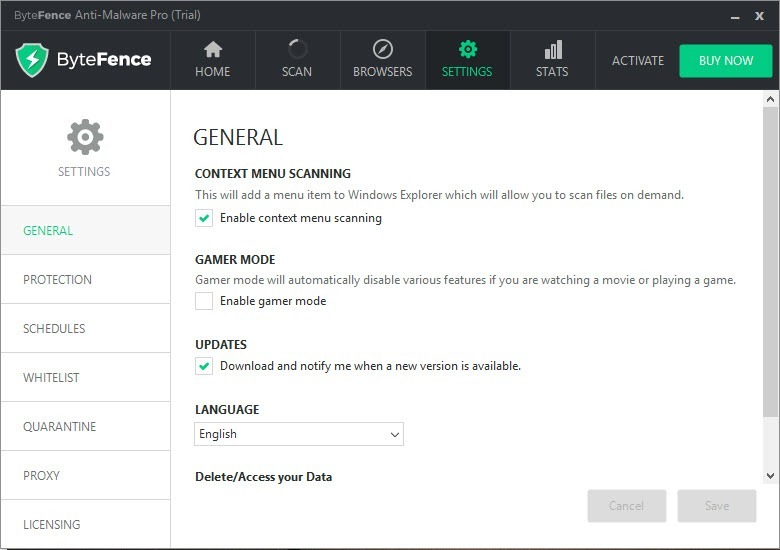 As soon as you start the program, it automatically starts scanning the whole PC. 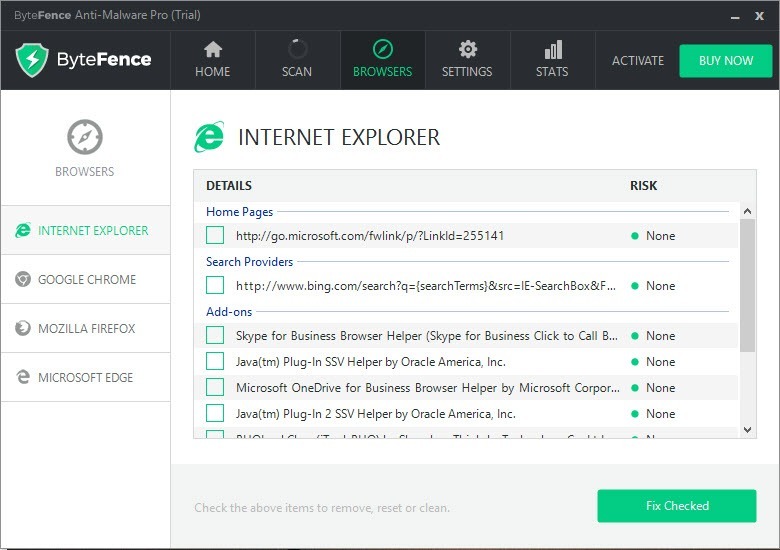 It takes a few minutes to finish scanning, and it detects potential harmful programs installed in your PC. During the scan, significant amounts of RAM are going to be used. The program has a simple to use interface which is easy to navigate through. It doesn`t have any complicated features, but if you want, you can easily modify the settings. There is even a Gamer Mode which can be used. It provides an excellent evaluation of the components of browsers that are on your PC. The program automatically deals with possible problems. The only downside is that it may not detect some browsers you are using, but if you stick with Chrome or Safari, it should work.